Start off your visit on the 16th (Sun): see the interesting displays at Maritime Museum of San Diego and then immerse yourself in nature at Torrey Pines State Natural Reserve. On the next day, admire the masterpieces at San Diego Museum of Art and then meet the residents at San Diego Zoo. To find traveler tips, reviews, more things to do, and more tourist information, use the San Diego travel route planner. Perth, Australia to San Diego is an approximately 26-hour flight. You can also do a combination of flight and train; or do a combination of flight and bus. The time zone difference moving from Australian Western Standard Time (AWST) to Pacific Standard Time (PST) is minus 16 hours. Traveling from Perth in June, you can expect nighttime temperatures to be somewhat warmer in San Diego, with lows of 20°C. Finish your sightseeing early on the 17th (Mon) to allow enough time to drive to Los Angeles. Head to The Grove and Amoeba Musicfor plenty of shopping. 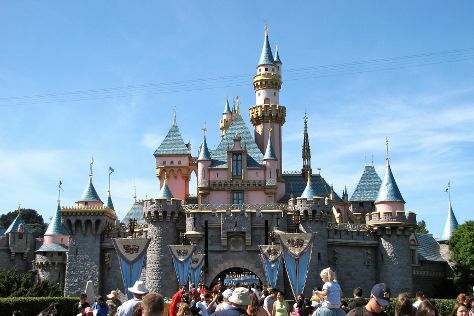 Kids will enjoy Disneyland Park and Griffith Observatory. The adventure continues: see the interesting displays at The Getty Center, identify plant and animal life at Kenneth Hahn State Recreation Area, and get a new perspective on nature at Natural History Museum of Los Angeles County. To see where to stay, photos, and tourist information, you can read our Los Angeles visit planner. Getting from San Diego to Los Angeles by car takes about 2.5 hours. Other options: take a bus; or fly. When traveling from San Diego in June, plan for somewhat warmer days in Los Angeles, with highs around 30°C, while nights are about the same with lows around 19°C. Finish up your sightseeing early on the 20th (Thu) so you can travel to Yosemite National Park. Attractions like Nature Center at Happy Isles and McGurk Meadow make great kid-friendly stops. And it doesn't end there: take in the dramatic natural features at North Dome, explore the world behind art at Yosemite Museum Gallery, take in the awesome beauty at Cathedral Beach Picnic Area, and don't miss a visit to Yosemite Conservation Heritage Center. To see reviews, other places to visit, maps, and other tourist information, refer to the Yosemite National Park road trip planning app . Do a combination of flight and car from Los Angeles to Yosemite National Park in 4.5 hours. Alternatively, you can drive; or do a combination of flight, bus, and taxi. Plan for a bit cooler nights when traveling from Los Angeles in June since evenings lows in Yosemite National Park dip to 7°C. Finish up your sightseeing early on the 23rd (Sun) so you can go by car to San Francisco. Exploratorium and Cable Car Museum will appeal to museum buffs. Give yourself a bit of retail therapy at Ferry Building Marketplace and City Lights Booksellers. And it doesn't end there: take in the views from Golden Gate Bridge, buy something for everyone on your list at Ghirardelli Square, browse the eclectic array of goods at Ferry Plaza Farmers Market, and make a trip to Lombard Street. To see ratings, other places to visit, and other tourist information, refer to the San Francisco route maker . Traveling by car from Yosemite National Park to San Francisco takes 4 hours. Alternatively, you can take a bus; or do a combination of taxi, bus, flight, and subway. Expect slightly colder weather when traveling from Yosemite National Park in June: highs in San Francisco hover around 25°C, while lows dip to 15°C. Wrap up your sightseeing on the 27th (Thu) early enough to travel back home.